A great tasting set for anyone new to Cognac. Discover the delicious differences of a VS, VSOP, and an XO from three top quality Cognac houses. 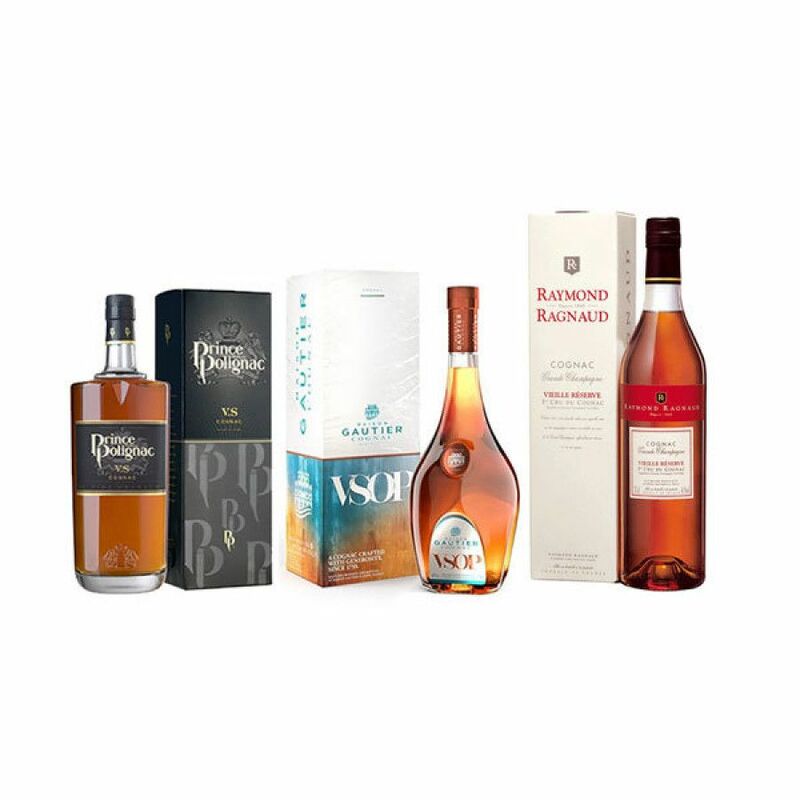 The Newbie Tasting Set is a great combination of three full sized bottles of Cognac that is perfect for anyone who wants to discover a little more about the delights of different qualities of Cognac. Max and Sophie - the brother and sister behind Cognac Expert - have carefully selected three bottles from some of their favorite Cognac houses. 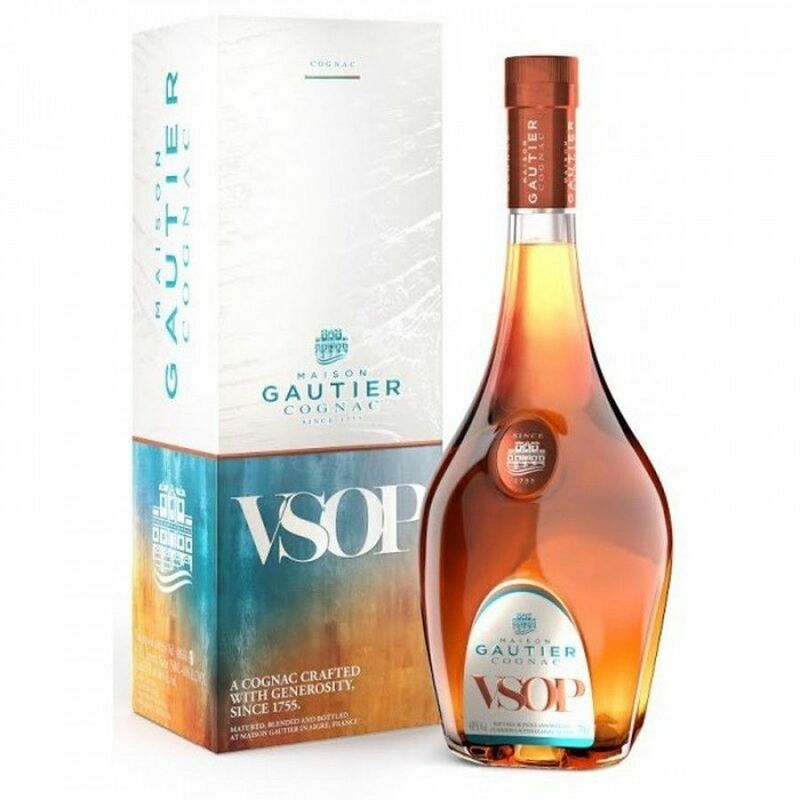 Comprising a young VS quality, a versatile VSOP, and a delicious XO, this set is an excellent way to appreciate the wonderful differences that extended years of aging in oak barrels causes on the eaux-de-vie that becomes Cognac. The youngest in the selection, this VS quality Cognac is both gracious and light, and is a wonderful golden color with glints of orange. Enjoy the fresh notes of vine flowers, peaches, apricots, and a light perfume of vanilla. The perfect balance of fruity and floral tones makes it delightful to enjoy over ice, or combined with a mixer to create a refreshing long drinks. The ‘middle child’ of the trio, this VSOP blend has been created from four of the terroirs of the Cognac region - Grande Champagne, Petite Champagne, Fins Bois, and Bons Bois. 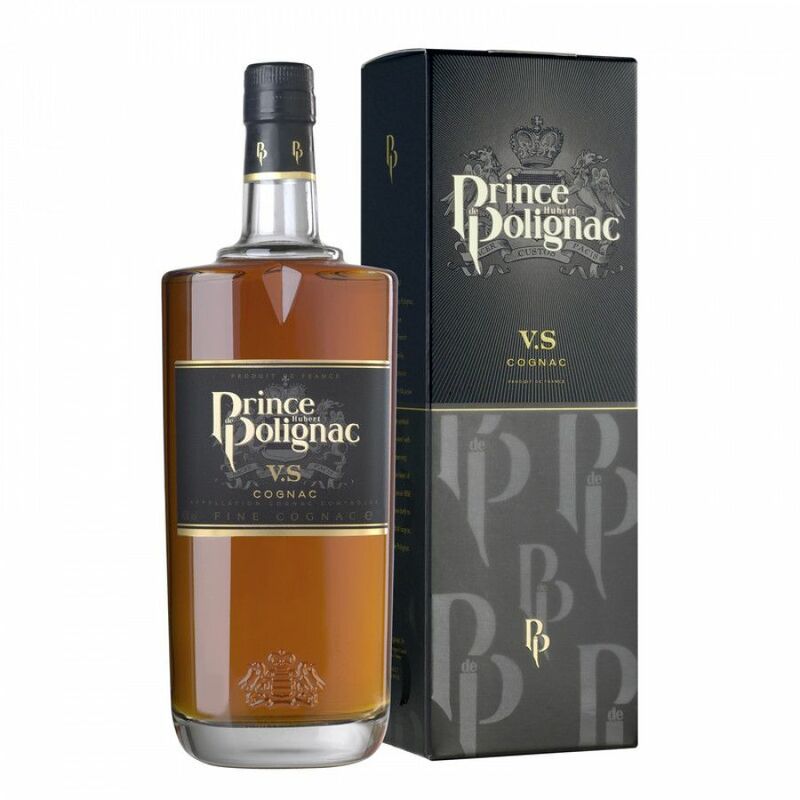 It’s an aromatic Cognac, teasing with notes of vanilla, rasins, and dried figs. On the palate it warms, with oaky tones becoming more prominent as the taste progresses. Enjoy the discovery of a satisfyingly long finish. A versatile Cognac that can be enjoyed neat, over ice, or makes a wonderful base for your favorite cocktail. 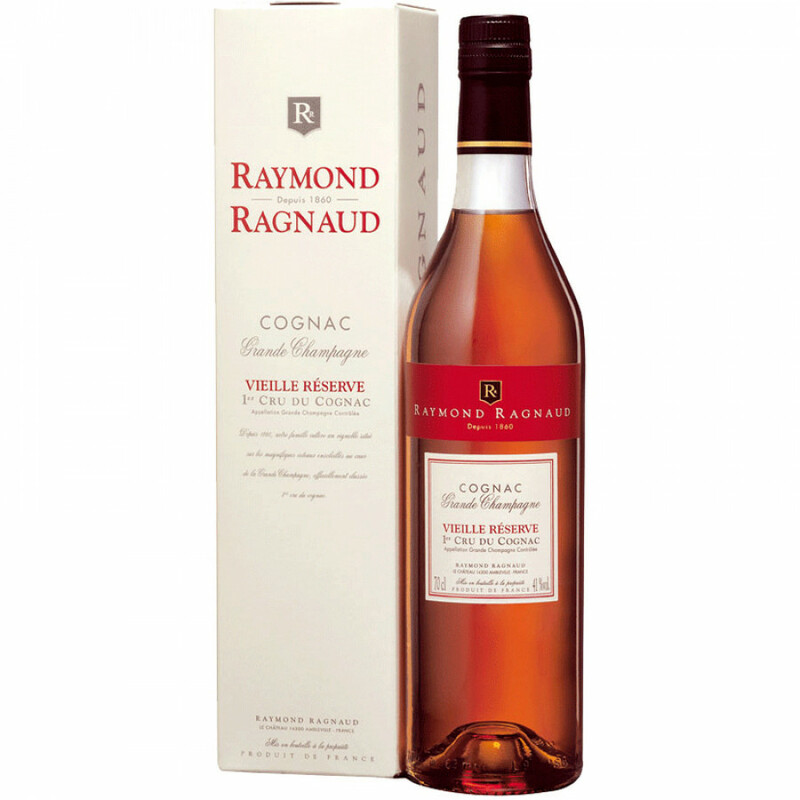 The house of Raymond Ragnaud is truly traditional, and this is a superb example of an older Cognac created solely from Grande Champagne eaux-de-vie. Discover the darker color of a well-aged Cognac, along with the subtle, ever-changing aromas and flavors. The extended aging process also leads to a longer finish on the palate: It’s truly a great Cognac to enjoy after a wonderful meal - and will certainly show anyone the true meaning of the drink we refer to as the ‘digestif’.